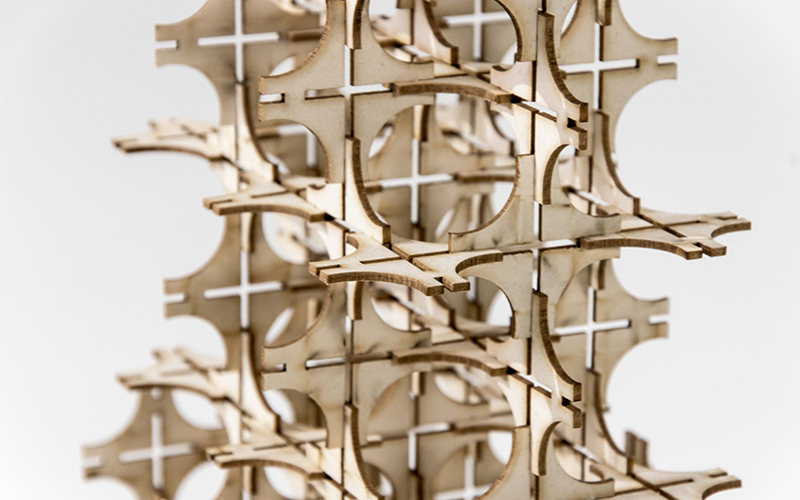 Digitally controlled laser cutters allow for an apparently easy fabrication of individual cutting patterns, based on 2D-drawings. 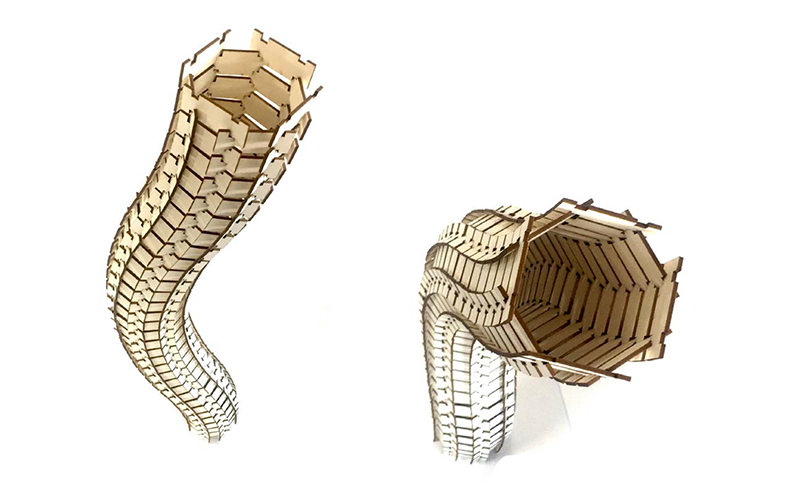 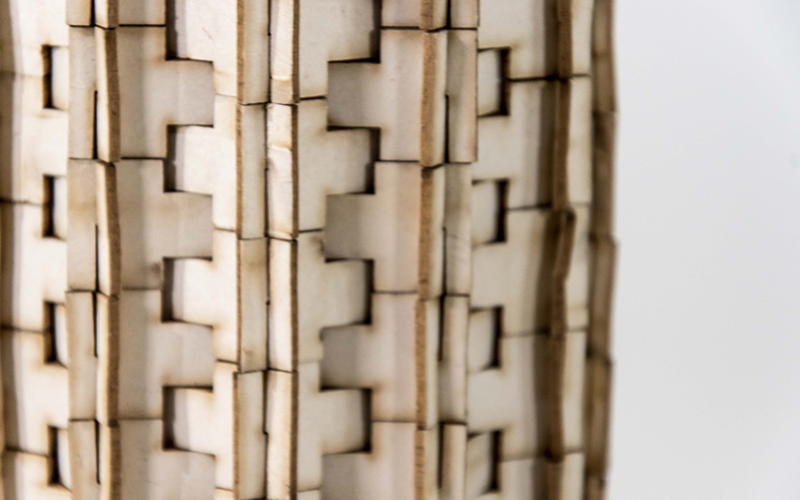 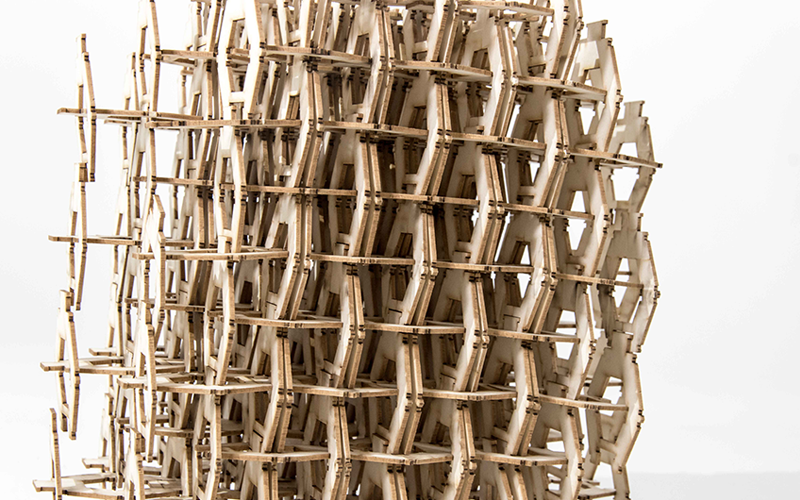 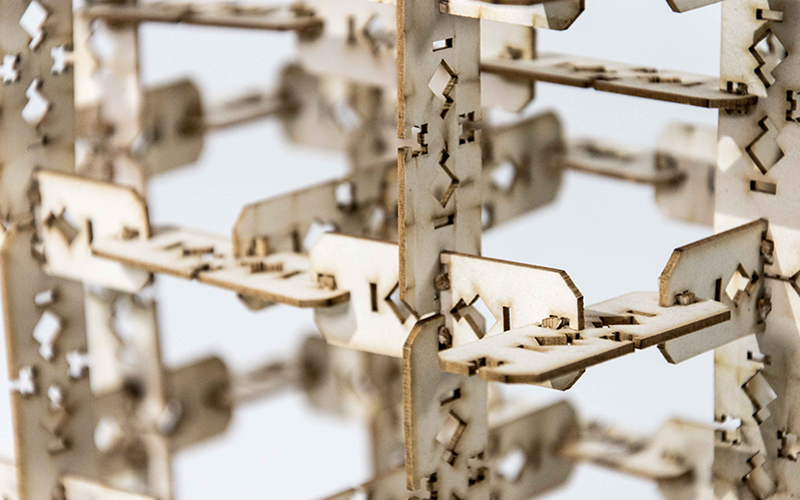 Unlike the first exercise this design task was based on an additive digital design principle and a subtractive fabrication method. 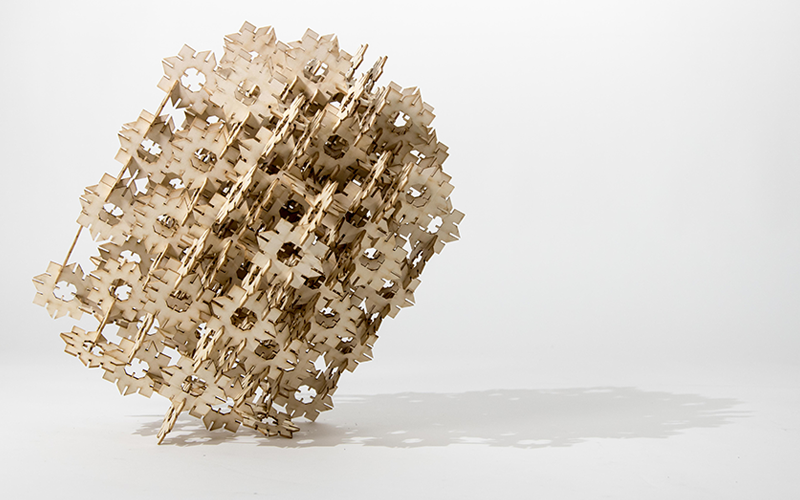 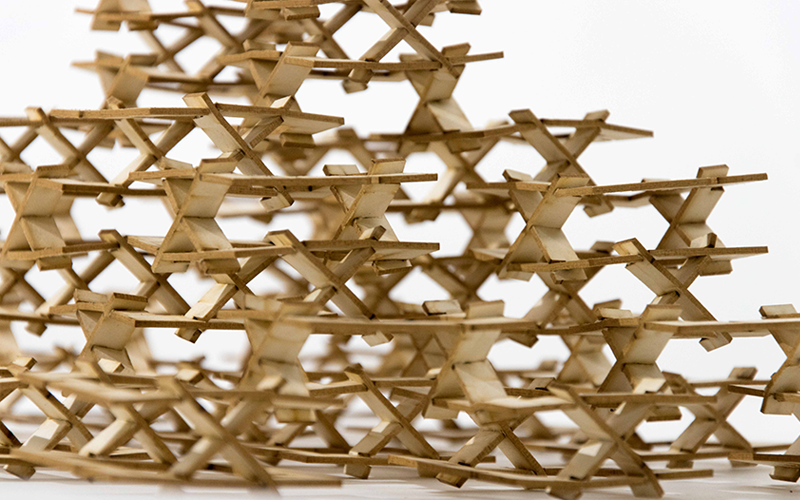 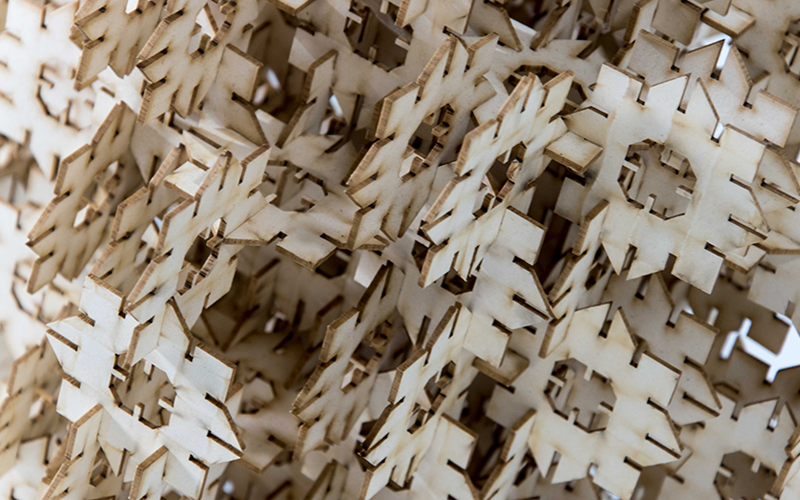 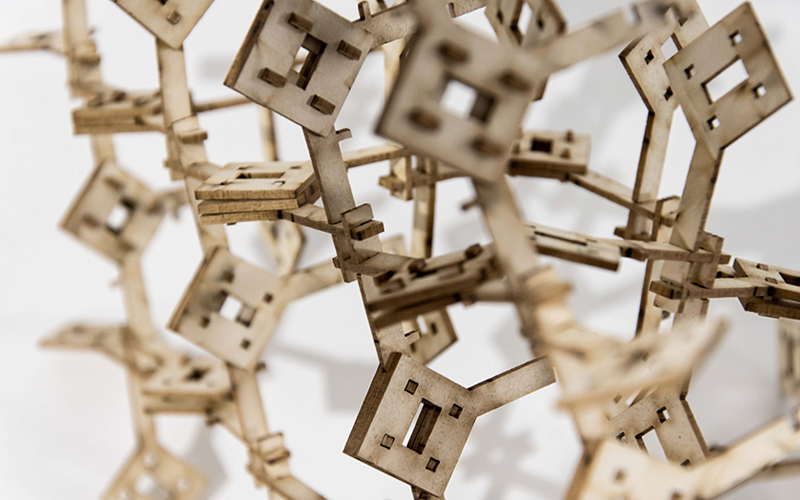 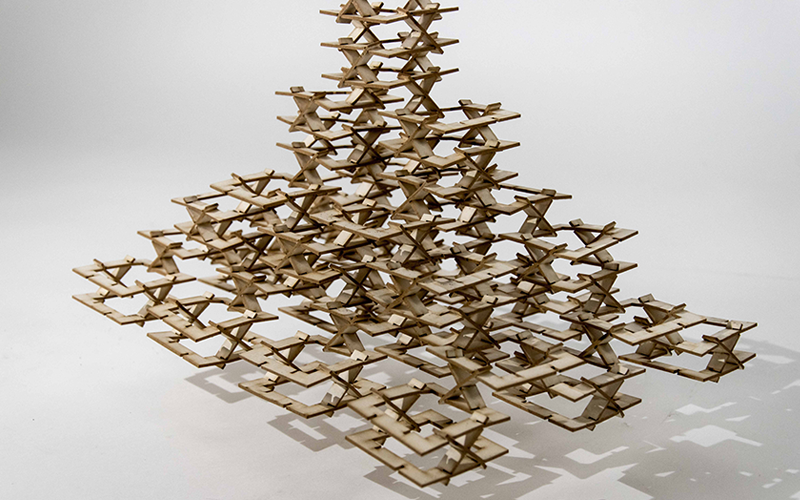 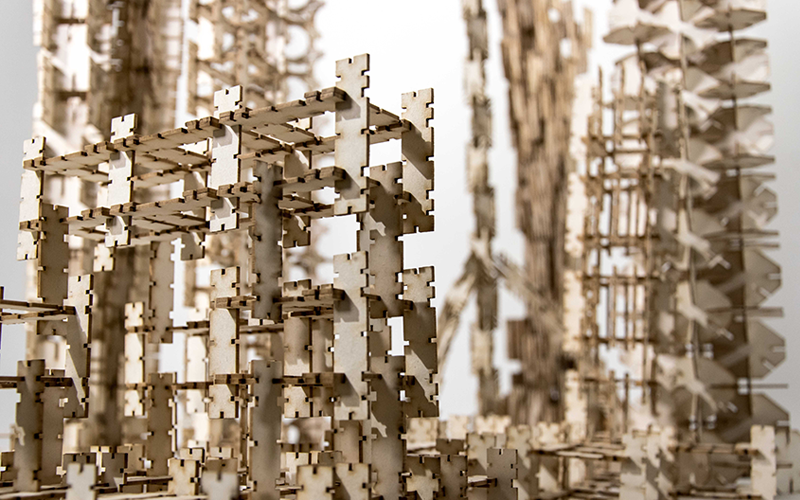 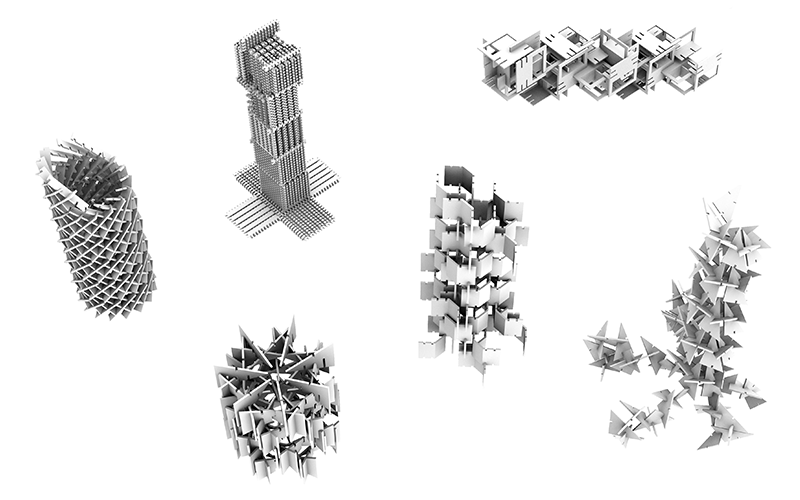 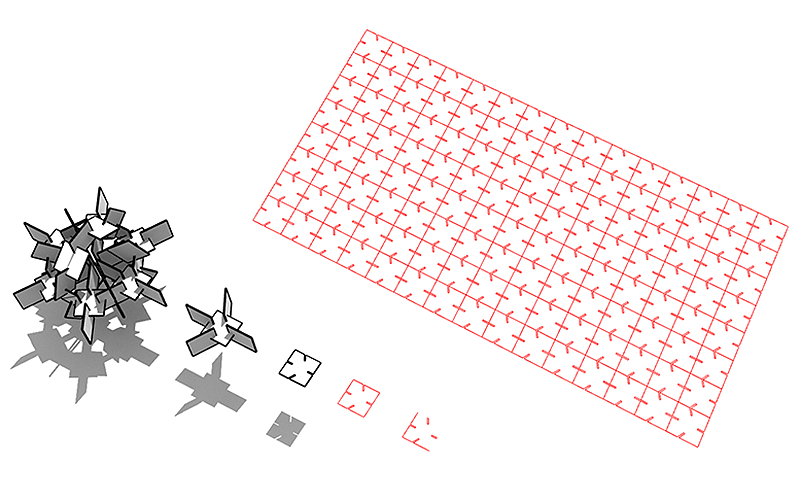 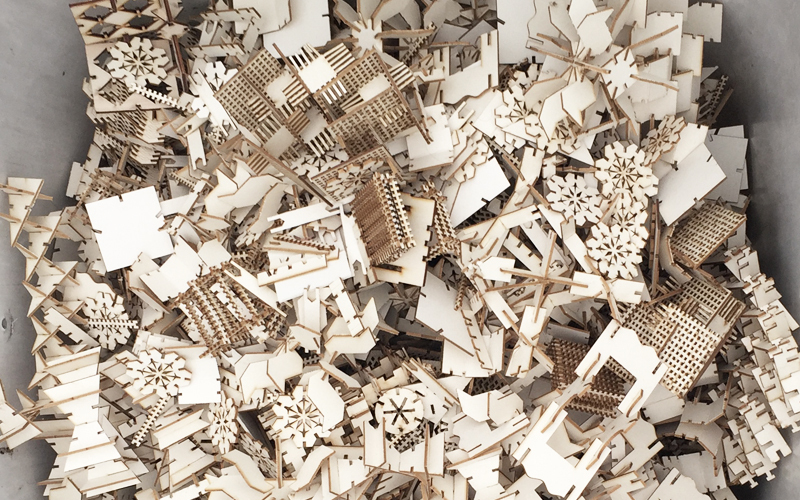 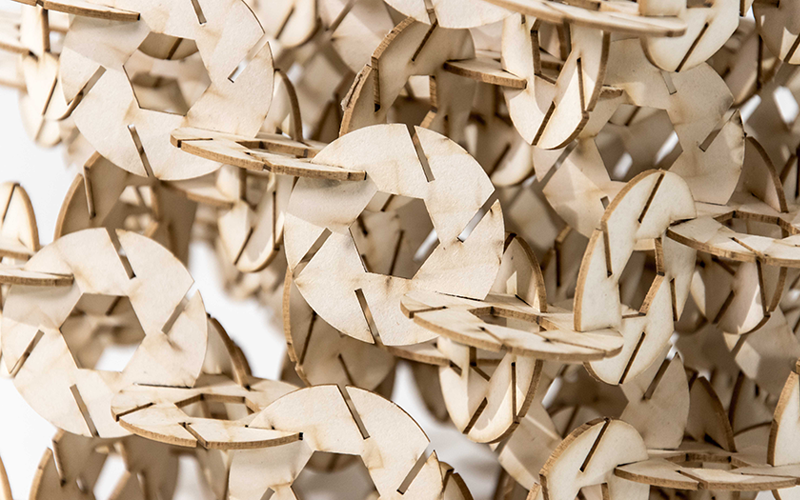 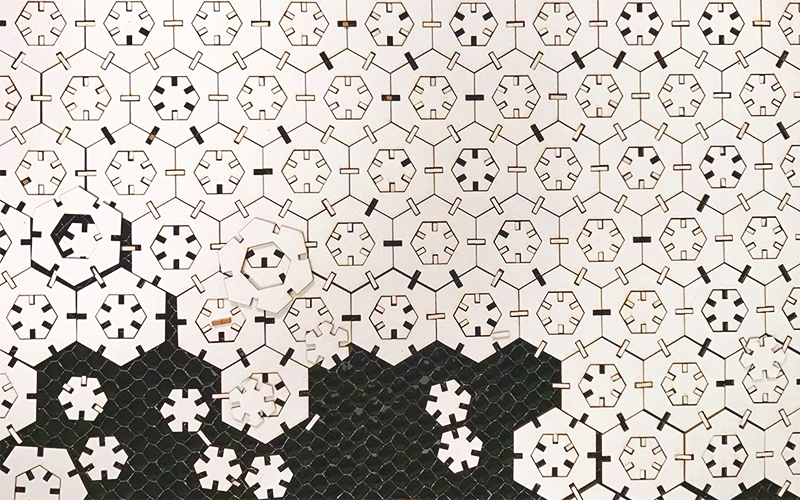 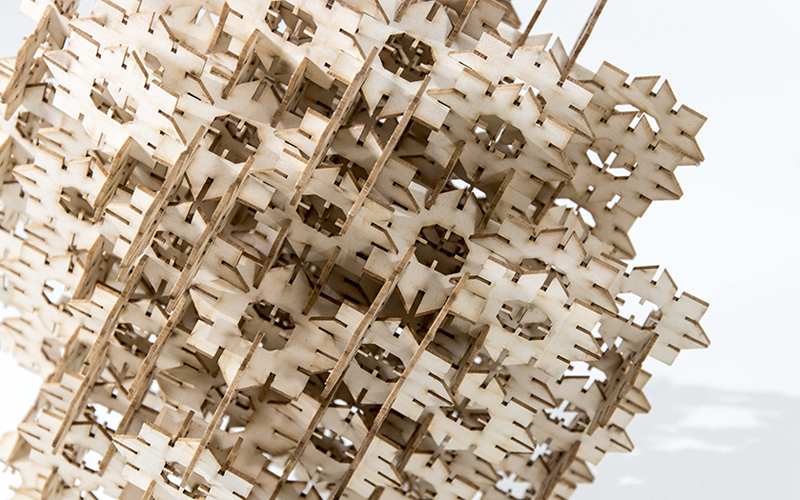 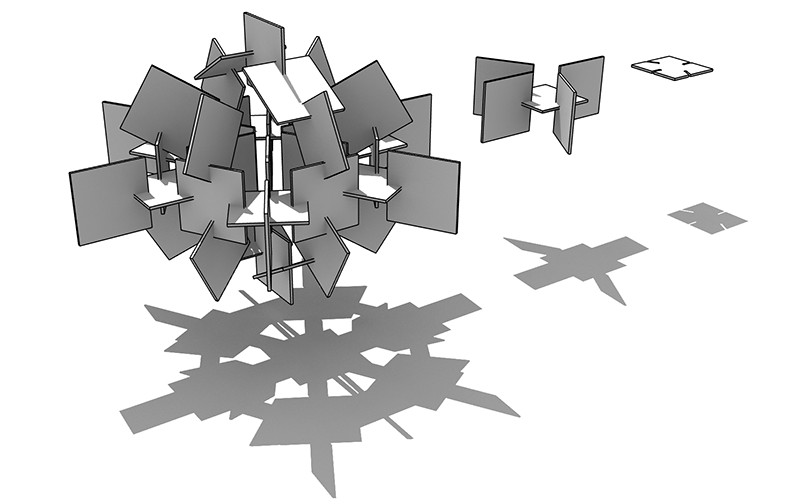 During the seminar the students explored the possibility of creating an intriguing spatial structure from interconnected planar modules. 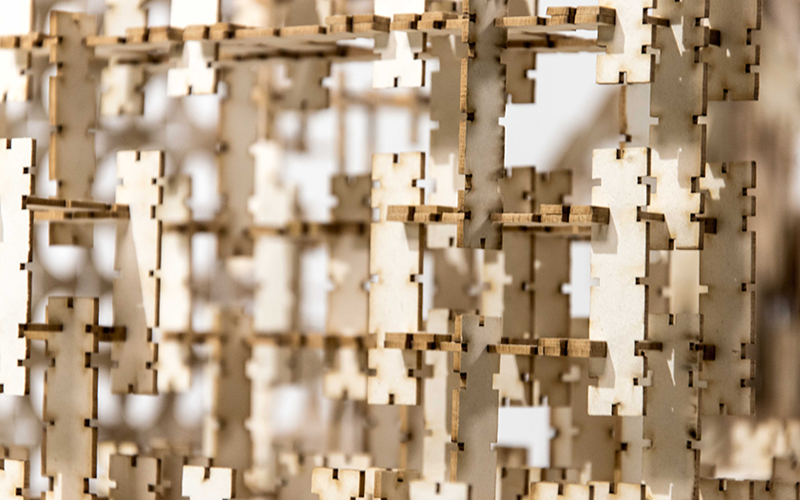 Only one module could be used to carry out a design that took into account not only the fabrication conditions, the given material properties and the constraints of the size of the module, but managed above all to result in an intriguing architectural and performative structure.